Application: Boring / Parting / Drilling / Grooving / Hobbing / Milling / Cutting / Tapping / Threading / Turning / Shearing. Supported by trained personnel, we are readily instrumental in presenting a comprehensive spectrum of Cutting Tool Inserts. Our Shell Cutters are widely used as cutting tools. These Shell Cutters mainly find their application in various industries. 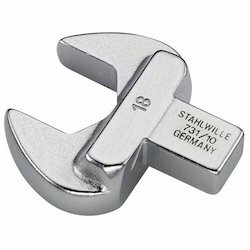 These Shell Cutters are made from very high quality material. Omni tools and accessories are made of the highest quality materials and are designed to make your tyre repair jobs easier and faster. Offering supreme quality Pentagonal Inserts has helped us to achieve a very high level of trust in the market. Best rate & good quality. Range: M4 to M24 & 1/8" to 1.1/2"
With the aid of well-informed team, we are engaged in rendering OD Scarfing Inserts. 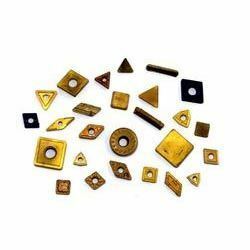 We are a renowned organization involved in providing a premium quality collection of Apkt Cutter Insert to our clients. The offered products are designed using only best grade components and regarded for their dimensional accuracy, high corrosion resistance and durability. Apart from this, customers can avail these products in several specifications as per their requirements.